Edith Age 87, formerly of 100 Graham Road, Ithaca, New York, died at 9:00 a.m., Tuesday, January 3, 2006, at a nursing facility in Auburn, NY. Born September 18, 1918 in Big Flats, New York, she was a daughter of the late William and Emma (nee Robinson) Randall and the widow of Frank Zimdahl, who died December 11, 1986. Mrs. Zimdahl was a member of the Order of The Eastern Star, Lodge # 378, Big Flats, NY, Stonehedges Golf Club, Groton, NY, and attended Lansing United Methodist Church. Survivors include her son, Frank Jr. (Cathy) of Aurora, NY; her daughters, Patricia Donegan of Fairport, NY, Margo Zimdahl of East Syracuse, NY; her sister, Nellie Black of Big Flats, NY; her grandchildren, Kathleen (John) Ward, Susan Donegan, Andrew and Nina Zimdahl; three great-grandchilren; several nieces and nephews, including Robert (Madeline) Weaver of Big Flats, NY. Funeral services will be 11:00 o'clock in the morning on Friday at The Lansing Funeral Home, Inc. Graveside services will follow at 2:45 p.m. in Big Flats Rural Cemetery, Big Flats, NY. The family will receive friends on Thursday between the hours of 4:00 p.m. and 7:00 p.m. at the funeral home, 32 Auburn Road, Lansing, NY. Contributions in memory of Mrs Zimdahl may be directed to Hospicare, 172 East King Road, Ithaca, NY 14850. REYNOLDS –ALICE R. NAVE Age 69 of Elmira Heights, NY. She was born January 23, 1948 in Elmira, daughter of the late Howard and Florence (Canfield) Reynolds and passed away Tuesday, April 18, 2017 at Strong Memorial Hospital after a brief illness. In addition to her parents, she was predeceased by grandparents Ernest and Golden Canfield and Alice C. Reynolds and Howard F. Reynolds. She is survived by her children Terry L. Reynolds of Elmira Heights and Tara L. Nave of Great Falls, MT; grandchildren Jake Locke of Gang Mills, NY and Ava Reynolds of Newfield, NY; sister Ernestine (Larry) Baxter of Granville Summit, PA; nieces Kathy Jo (Jay) Archangeli of Burdett, NY and Leslie (Shawn) Raymond of Wyalusing, PA; nephew David (Sarah) Kneller of Newmanstown, PA along with several great nieces and nephews. 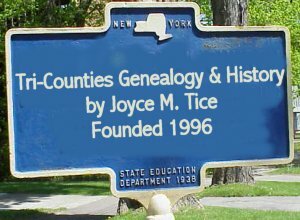 Alice spent her early years living with her grandparents Ernest and Golden Canfield attending Wyalusing Valley Schools until 9th grade transferring to Horseheads HS graduating in 1965. After starting her family, she returned to school graduating from EBI with honors. In her earlier years she enjoyed barn chores and worked as a waitress and at Rudy's Florist in Elmira. Alice was formerly employed with Eastside Catholic Parish, St. Peter & Paul's Cemetery both in Elmira and retired from Walmart in Big Flats. She enjoyed cooking when time permitted and her specialty was chocolate fudge at Christmas time. Family and friends are invited to visit Walter J. Kent Funeral Home, 858 Lake St. at Washington Ave., Elmira on Friday, April 21st from 12 to 2 p.m. Her funeral service will be held at 2 p.m. Committal prayers and interment will follow in Rural Home Cemetery, Big Flats. –Elmira Star-Gazette 4/20/2017. HOWARD N. REYNOLDS, 71, of 3357 Hibbard Road, Horseheads, N.Y. died Thursday Feb. 28, 1991 at the Arnot Ogden Memorial Hospital. Mr. Reynolds was predeceased by his wife Florence Canfield Reynolds in August 1978 and by two sisters Pauline Viselli and Edith Brown. Mr. Reynolds was the son of Howard F. and Alice Cragg Reynolds. He is survived by his daughters, Alice Nave of Elmira Heights and Ernestine (Cecil) Kneller of Wyalusing; grandchildren – Terry Reynolds; Tara Nave: Kathy Jo, Leslie and David Kneller; sister, Ellen J. Schmucker of Jacksonville, Fla.; several nieces and nephews; and a good friend, Mary H. Reynolds of Geneva, N.Y. Mr. Reynolds was a member of the Flint Glass Workers Union, Big Flats American Legion Post No. 1612, Loyal Order of Moose and the NRA. He was a retired employee of Corning Glass Works and a U.S. Navy veteran of World War II. Friends are invited to call at the Olthof Funeral Home, 1050 Pennsylvania Avenue, Elmira, on Saturday from 7 to 9 p.m. and Sunday from 2 to 4 p.m. and 7 to 9 p.m. Funeral services will be held Monday at 11 a.m. with Rev. Paul Slater officiating. Interment will be at the Rural Home Cemetery in Big Flats. –Towanda Daily Review. RICHARDS Scott Allen Age 42, of Decatur, IL, formerly of Big Flats, died Wednesday, August 17, 2005, at the Tennessee Valley Health Care in Nashville, TN. He was born March 27, 1963 in Elmira, the son of Gerald and Sylvia Resue Richards. Scott was a Staff Sergeant serving in the U.S. Army for 15 years, seeing three tours of duty to Germany and Kuwait. He served his country in Desert Storm. He was an active lobbyist for trappers in Illinois. 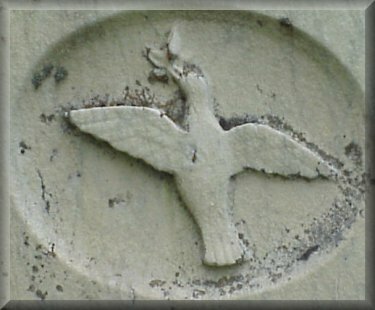 He is survived by his mother, Sylvia Smith of Painted Post; his father, Gerald (Nancy) Richards of Big Flats; a daughter, Valerie Richards of Jacksonville, NC; a brother, Gerald Richards, Jr. of Elmira Heights; five stepbrothers, Larry (Ann) Smith of Campbell, Darrell (Linda) Smith of Louisville, KY, Guy Ryerson of San Mateo, CA, Michael (Maria) Ryerson of Hayward, CA, Donald Ryerson of Seattle, WA; a nephew, Chad Richards; a niece, Jennifer Mandell; as well as several nieces, nephews, aunts, uncles, cousins; special friends, Donna and Donna Marie Maguet, and Herman of IL; as well as numerous special friends in Big Flats, NY. Family and friends may call at Carpenter's Funeral Homes, 14 E. Pulteney St., Corning, on Tuesday, August 23, 2005, from 2-4 and 6-8 p.m. A Funeral Service will follow visitation at 8 p.m. with the Rev. Gary McCaslin officiating. Burial with full Military Honors will be held Thursday, August 25, 2005, at 2 p.m. in Rural Home Cemetery, Big Flats. Memorial donations may be directed to Scott's father, Gerald, to be put towards Valerie's future education.